The CMS based its projections (PDF), which will differ across the country based on a variety of factors, on an expected 3.55% decline in the Medicare Advantage growth rate factor and an expected decline of 1.65% in per capita expenditures in the fee-for-service portion of the senior citizen healthcare program. More than 15 million or 30% of all Medicare beneficiaries are currently in Medicare Advantage plans offered by private insurers. The CMS estimates that the blended rate of per capita spending for Medicare Advantage beneficiaries will decline by 1.9% in 2015. “This historically low growth in Medicare per-capita spending is tied, in part, to successful initiatives undertaken to promote value over volume and help curb fraud, waste and abuse in the Medicare fee-for-service program in recent years,” the agency said in a press release. The agency is also proposing a straight 5% bonus for plans with four stars or above in their quality rankings. A demonstration of the rankings system that ran from 2012 to 2014 had a sliding scale of benefits for plans with three stars and above. Insurers and other interested parties will have two weeks to provide feedback on the proposal. Insurers must submit Advantage bids by June 2. “I expect that all of the MA plans will be commenting and trying to express their viewpoint to CMS and perhaps the Hill on what's in here,” said Jennifer Kowalski, vice president of Avalere Health. Financing for the Patient Protection and Affordable Care subsidies depends on cuts to Medicare Advantage plans, which before the law's passage cost the CMS on average 9% more than other Medicare beneficiaries. Despite the financial pressures on Advantage plans, the percentage of seniors opting for private coverage continues to grow significantly. Such campaigns have succeeded. 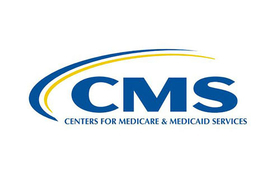 Last year, the CMS initially proposed a large cut in payments to Advantage plans. But the agency backed off after being convinced that legislators would take action to postpone the scheduled 20% cut in physician pay. This year, the proposed rule already assumes the “doc fix.” “It was a big change in their approach, but it was premised on the fact that Congress had made that change every year for the past 10 years,” said Anne Hance, co-chair of McDermott Will & Emery's insurance/payors affinity group. “We urge you to maintain payment levels that will allow MA beneficiaries to be protected from disruptive changes in 2015,” according to the letter. “The result of this action represents another broken promise by the president and another breach of trust with the American people by the Democrats who run Washington,” House Speaker John Boehner said in a statement.